The Professional Christian Ministries Certificate is designed to provide elementary skills and knowledge needed to minister effectively in today’s North American culture. It is most suited for individuals who do not have a prior bachelor’s degree from a Christian college or seminary, but are paid or volunteer workers in a church ministry setting. 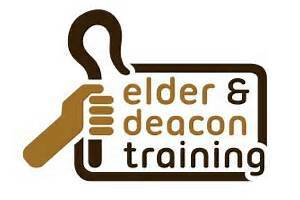 Individuals who serve as elders or deacons in a church may also benefit from the program. Upon completion, graduates may apply these fifteen credits toward an associate’s or bachelor’s degree at Mid-Atlantic Christian University. You will learn to interpret Scripture more accurately by integrating biblical research resources and skills. You will facilitate spiritual growth in yourself through the implementation of key resources and practices. You will be better equipped to lead effectively in ministry by integrating key biblical passages and principles. The Professional Christian Ministries Certificate (PCMC) is a 15 credit hour certificate that can be completed on-campus or online. If the program is not completed in 18 months, the current standard tuition rates will apply for the remaining courses, there is no process to prorate or refund tuition. Applicants will need to make arrangements for official transcrips for their high school, community college, trade school and college work to be sent to the MACU Admissions office. Can I take other MACU courses? Other MACU courses not included in the PCMC program may not be taken until the coursework is completed. A PCMC student may choose to apply his or her PCMC to a MACU Associate or Bachelor's degree.